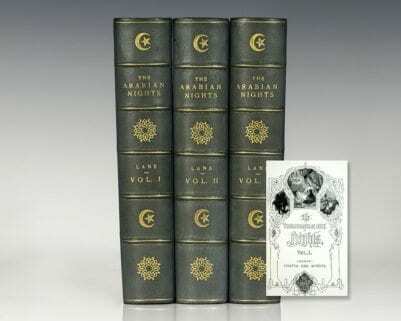 First edition of Disraeli’s first novel. 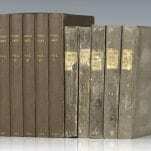 Octavo, original gray boards with printed spine labels, 5 volumes, half-titles present in Volumes 2 and 5, as issued; terminal ads in Volumes 1-4. 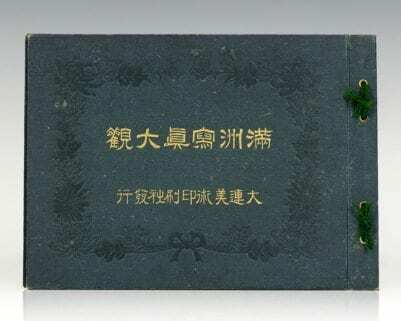 Bookplates to each volume, in very good condition. 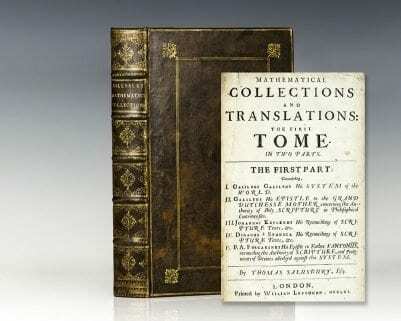 Housed in a brown cloth clamshell box. 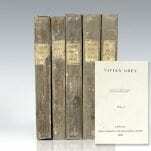 Complete first editions are uncommon, especially in the original boards. 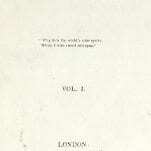 Originally published anonymously, ostensibly by a so-called "man of fashion," part 1 caused a considerable sensation in London society. 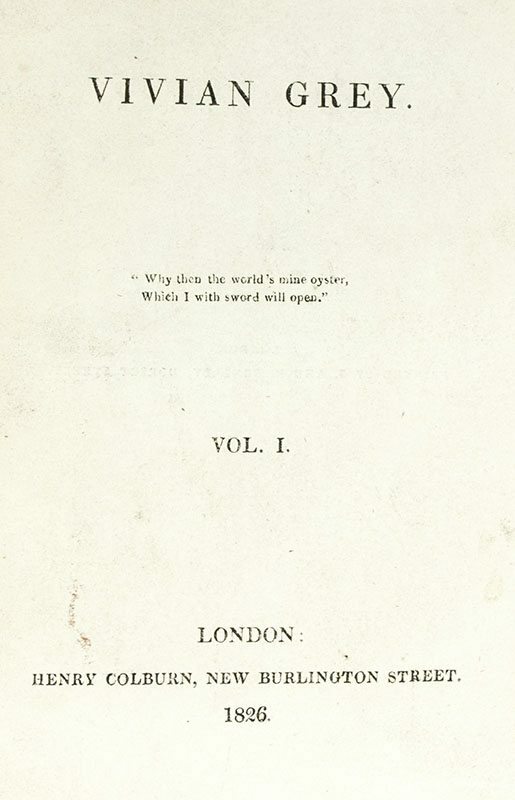 Contemporary reviewers, suspicious of the numerous solecisms contained within the text, eventually identified the young Disraeli (who did not move in high society) as the author. 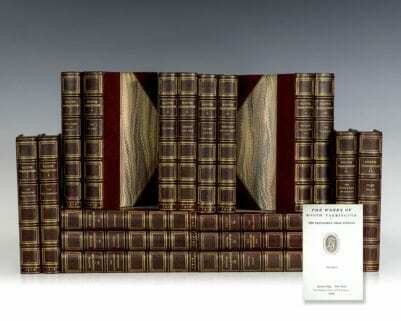 Disraeli continued the tale in a second volume, also of 1826, and three subsequent volumes in 1827. 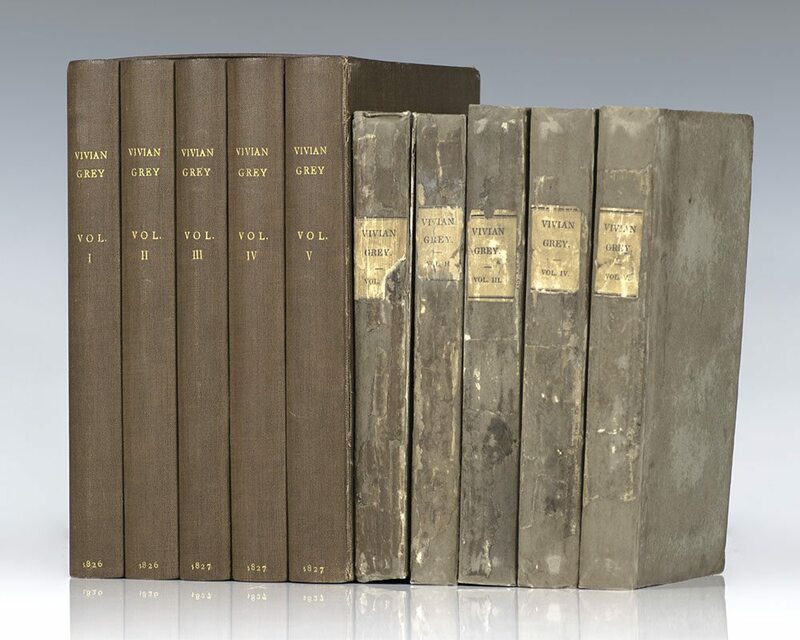 The form in which Vivian Grey is published now is the revised 1853 edition, which was severely expurgated and, according to critic Wendy Burton, lost much of the charm and freshness of the 1826 edition. The book is a frequent touchstone for discussions of Disraeli's political and literary career. 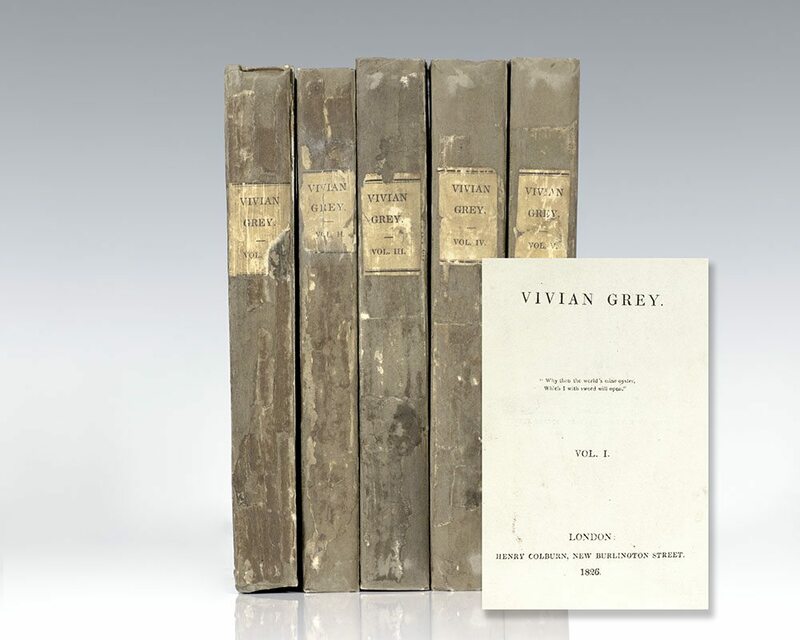 Vivian Grey is often written about as a cornerstone work of the “fashionable” or “silver fork” school of fiction, but it is also the first work in the genre of the political novel as later practiced by Trollope, Meredith, Eliot, Wells and Mrs. Humphrey Ward.